Nashville, TN -- The country music industry is in mourning following the death of the iconic and beloved James Cecil Dickens known as "Little Jimmy Dicken"s or just "Tater". Dickens passed away Friday, January 2nd at the age of 94. He started as a member of the Grand Ole Opry in 1948 and became a member of the Country Music Hall of Fame in 1983. He was the oldest member of the Grand Ole Opry. 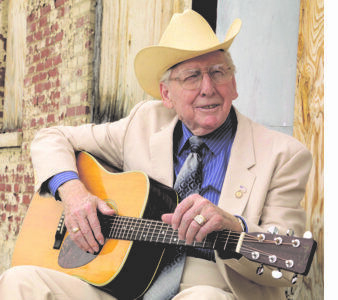 One of the most significant people in California's bluegrass music scene, Regina Bartlett of Santa Cruz, California, died while attending the International Bluegrass Music Association's (IBMA) World of Bluegrass trade show and convention in Raleigh, North Carolina. Regina was jamming with other bluegrass attendees until the early morning hours. She went to sleep and died in her sleep hours later.